Sorry if this has been answered elsewhere but I can't find much. 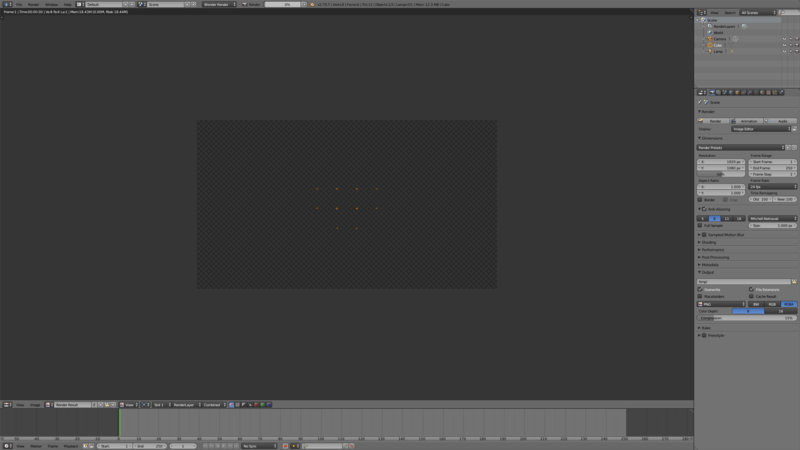 When I try to render even the default startup cube, all I get is a blank screen with a few orange crosses in the middle. After some searching, I've found that my Mac's NVIDIA GeForce GT 755M does not support CUDA, which is why when I click on CUDA in Blender user preferences, I'm told 'No compatible GPUs found'. Trouble is, I get this with OpenCL as well. Does this mean that I just can't render anything in Blender? Even when I'm on None, which I assume means it's using my Mac's CPU, I get nothing. Am I missing something? Thanks. Browse other questions tagged rendering osx or ask your own question. Why isn't the render showing realtime progress?